Searching - Available as a download or stream? Confirmed and upcoming movie titles only! Search before adding to avoid dupes. The year the movie is set to be released. Pick one or multiple movie genres. First cinema release date in any country. 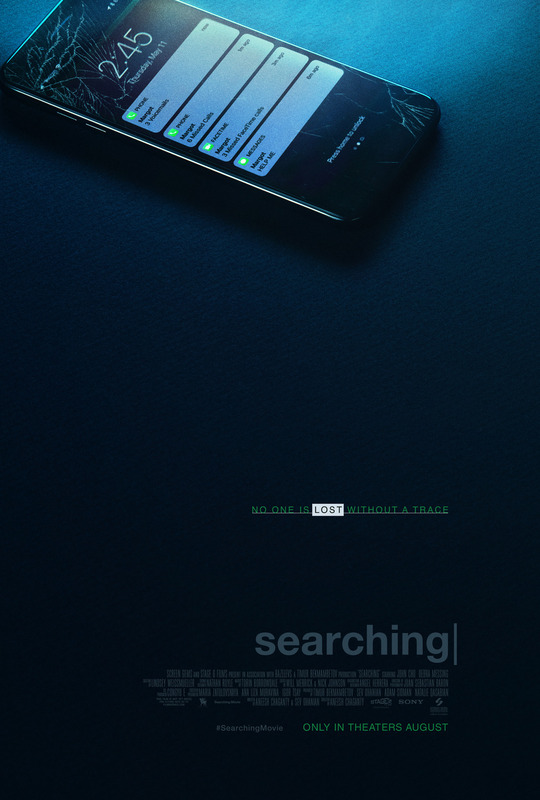 The directorial debut from Aneesh Chaganty, “Searching”, premiered today at the Sundance Film Festival. The found-footage thriller is observed entirely from the perspective of a computer webcam. 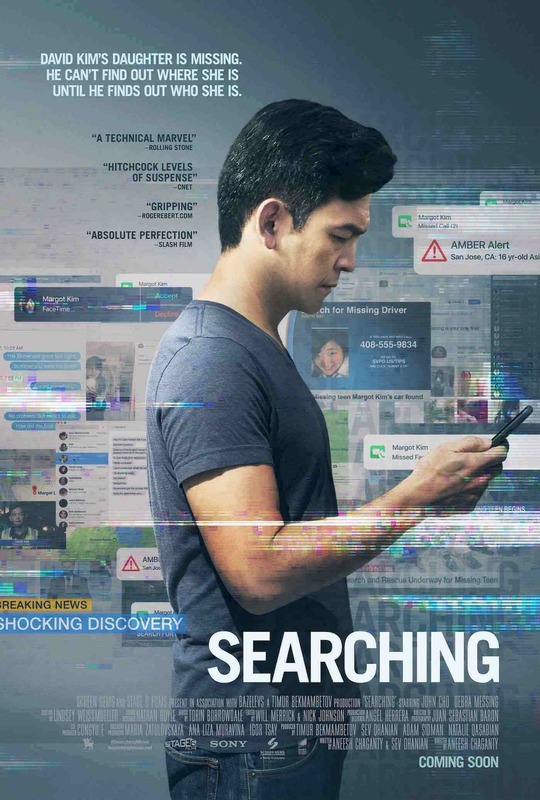 John Cho, and Debra Messing star as two parents going through the laptop of their teenage daughter hoping to find clues after her disappearance. The movie is online and reported below, Use the alert button to get notified when higher quality versions are available. There are no member news items for this movie. RSS for movie download reports. RSS for latest added movies. Where You Watch alerts you when a movie is available as a download or stream, unofficially via torrent and pirate sites, as well as official retail streaming sites. Where You Watch doesn't allow illegal download links. We do not link to or host torrent files, video streams or any other video files. Read our terms of agreement.